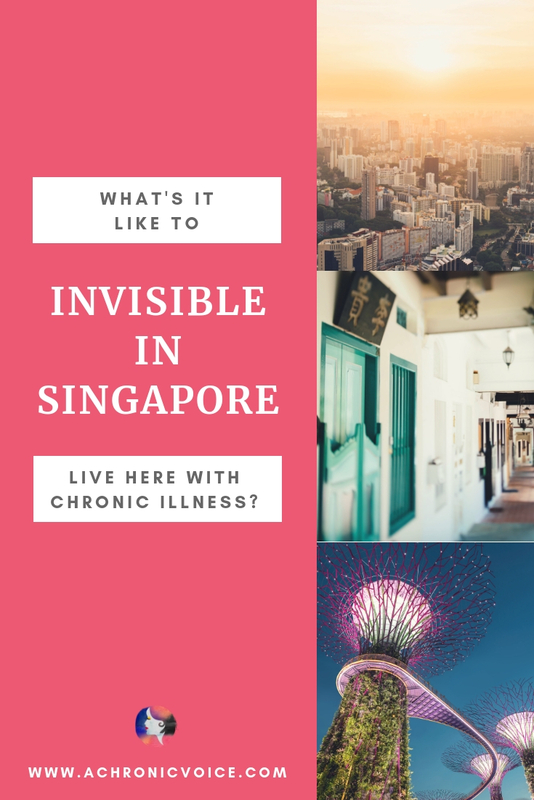 Invisible in Singapore: What's It Like to Live Here with Chronic Illnesses? 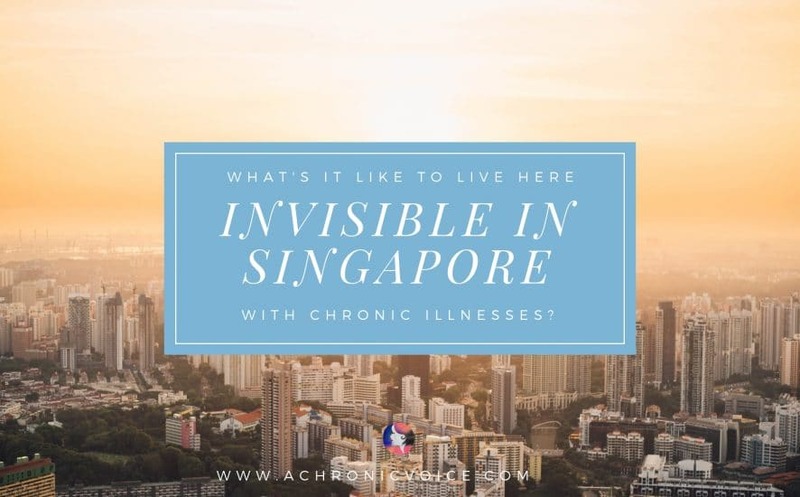 Invisible in Singapore: What’s It Like to Live Here with Chronic Illnesses? CLICK HERE to submit your own entry, and to read about other places, too! *Updated (18 Sep 2018): Kale. Also, images are all from Unsplash. 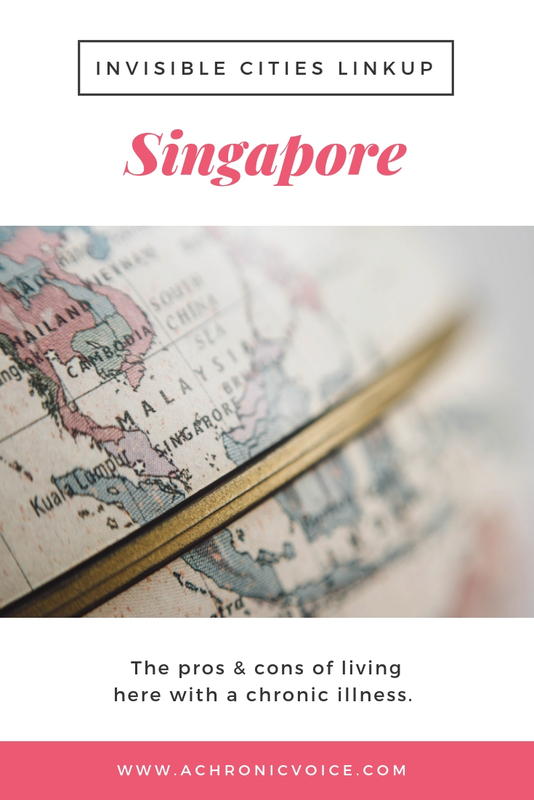 Singapore is a tiny city-state that’s only 50 km (31 mi) across. While that means there aren’t many options in terms of landscapes, getaways or housing, what it also brings is convenience. Public transport is efficient, and I use Grab a lot (like Lyft). I can usually get a driver within three minutes, and they arrive pretty quick as well! Just about everything has a delivery service available here as well: groceries, beauty products, meal deliveries, laundry, housekeeping, etc. None of these are too expensive either, and there are options any day or time of the week. Worst thing about your city for life with chronic illness? The weather, for one. It’s hot year round, hovering around 30°C (86°F) or more on average during the day. Humidity levels are about 80%, which can be the real sapper of energy, more so than the heat. The lack of space limits the variety of outdoor activities. Cars are ridiculously expensive (which can be a good thing for the environment, I suppose!). A Honda Civic would set you back by about USD84,000. I really enjoy road trips and find them relaxing, but that’s not something that’s possible within the country (you’d be done in an hour 😉 ). Yes there are nice nature trails and small island getaways, but no real camping spots where you just go into nature for a couple days. Housing is another pricey affair, and most of us live in apartments. To own an actual house with a garden would cost you millions. On the upside, I guess there’s less housework to do with a smaller house! How accessible do you think your city is? 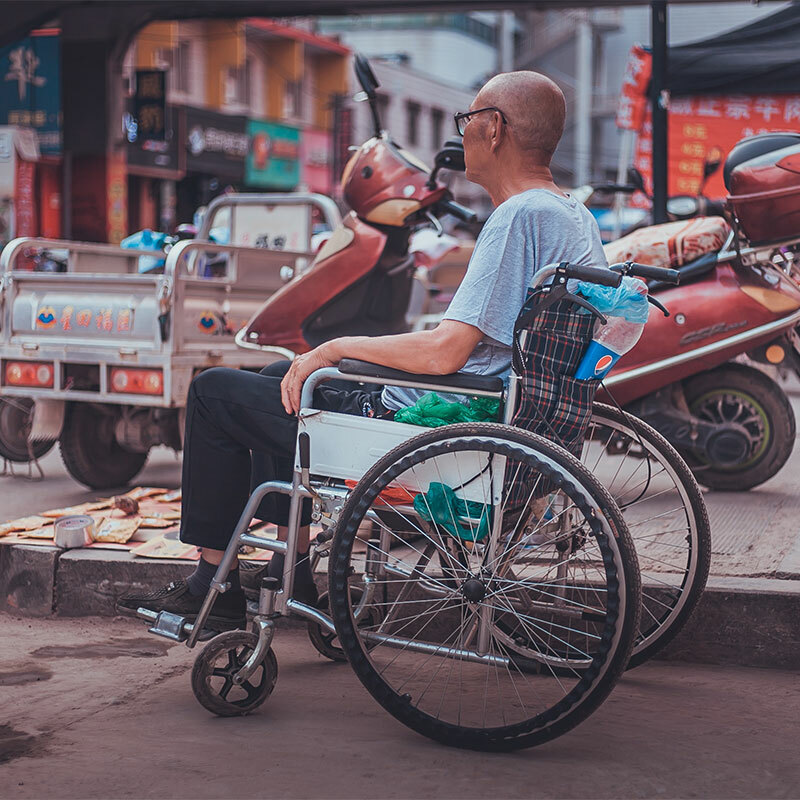 My last wheelchair experience was over a decade ago so I can’t really comment on that, but back then I did find it troublesome to move around. As for challenges that stem from chronic illnesses such as dizziness, nausea, etc, I feel safe and confident going about my day alone thanks to the ease of hiring transport. The city is small so rushing to the ER is fast, compared to other countries where you’d probably need to drive for at least an hour (and when you’re in pain, a minute feels like eternity). My country is known – even mocked – for its strict laws and governance, but that also means safety and low crime rates even at night. All these factors contribute to improving the quality of life not just for me, but every other person as well. My extended family may not understand the full details of my illnesses (they just know that ‘I’m really sick’), but they always make me feel so loved during gatherings. As for the general public, not much at all based on my personal experiences. I’ve faced discrimination in the workplace many times especially from HR. They’ve even used my illnesses as an excuse to exclude me from certain company activities, in order to scrimp on costs. 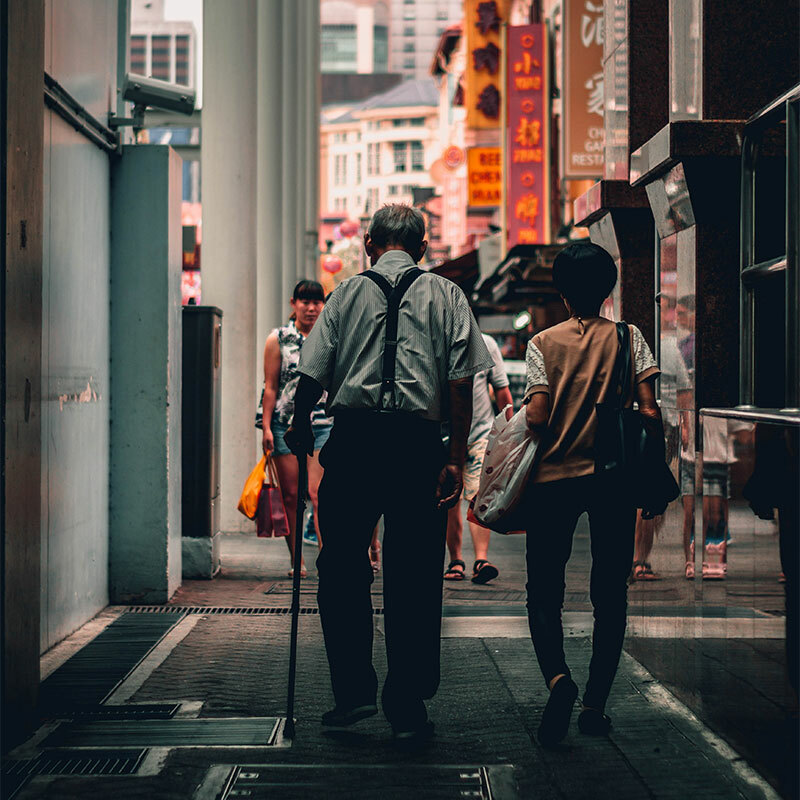 Many of us don’t really open up about such things as well, especially if there’s a mental aspect to it, which still holds quite a bit of stigma in most Asian societies. 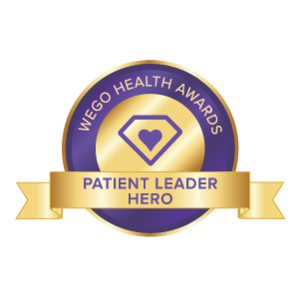 In fact, I only found out that a number of my colleagues and friends also live with chronic illnesses only after I started my blog! It’s surprising how we can become invisible even amongst ourselves, despite the daily pains. I think I’d still give the same answer as I did in this interview I did on Gemma of Wheelescapade’s blog (see Question 18). I’d put a heavy tax or ban on plastic goods and chemicals (I know that there are complexities to this too, so I’m just saying in general) – anything that harms our planet and in turn, us. I believe that the government has great power and a huge role to play in terms of making positive changes within society. One or two small groups aren’t going to make a big difference, or would take a long time to do so, as compared to the awareness and laws a government can make. This is a tough one, because I love travelling, and to different places for totally different reasons! For Asia, I like Mongolia because it feels so liberating – the endless space is mind blowing, especially since I come from the city where there’s always ‘something in the way’ no matter where I face. There, you can accelerate in any direction for miles and miles without pause. It really was an amazing feeling to me. 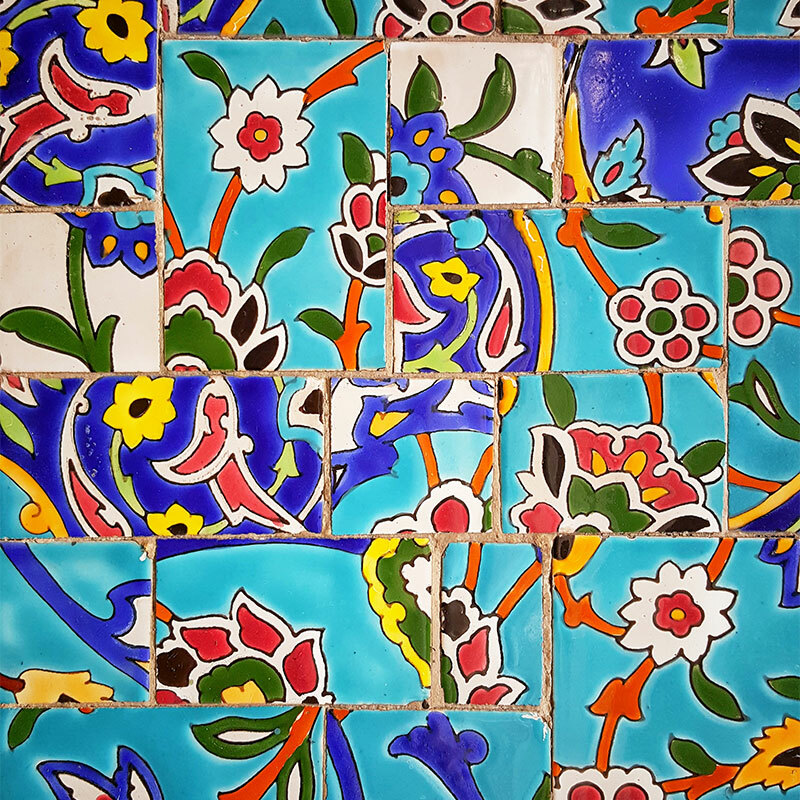 Also the same answer I gave on Gemma’s blog: Iran (or Persia, just because it sounds more romantic 😉 ). 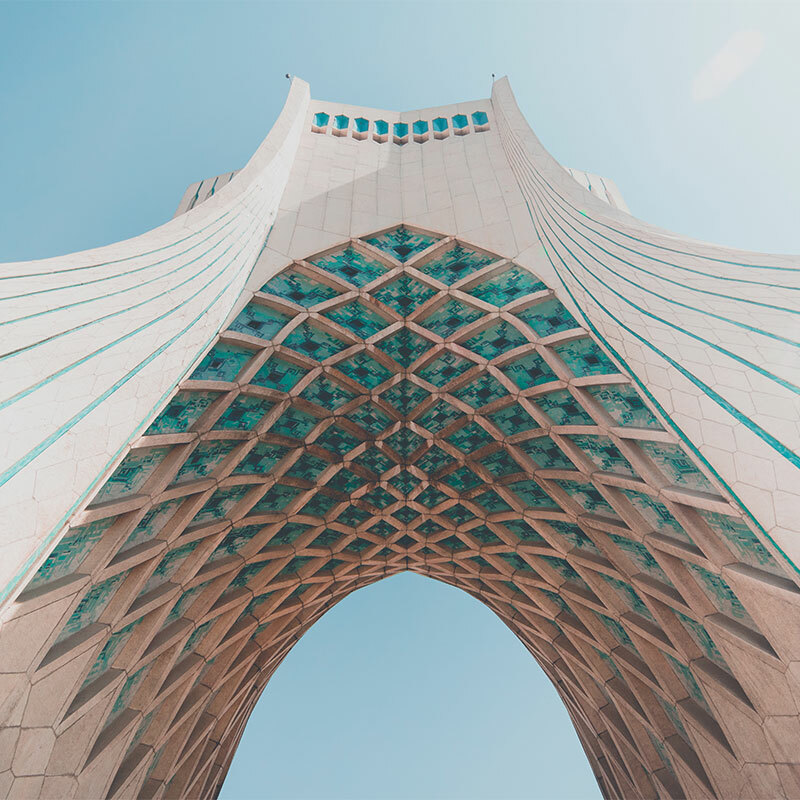 The architecture is gorgeous, the complex history is amazing, the food is delicious, and I’m sure it’ll be quite the adventure! What sort of ‘alternative treatments’ wouldn’t raise any eyebrows there? (Perhaps it’s ingrained in the culture, totally legal, etc). Traditional Chinese medicine, for one! I mean, lots of us are Chinese here 😉 This includes herbs, acupuncture, tuina, cupping, foot reflexology, etc. The furor over Michael Phelp’s cupping marks was hardly worth mentioning in the local papers. Ayurvedic medicine is also popular, including their herbs, oil massages, etc. There are four main racial groups in Singapore (Chinese, Malay, Indian and Eurasian), and we’re mostly respectful and tolerant toward each other. Hospitals have diets available for each of them (I usually select Indian meals because they’re the tastiest for hospital food! ), and it’s not too unusual to see people praying to their various gods or handing out protective charms to their loved ones by their hospital beds. Stuff like that. Another thing I honestly find baffling is the outrage pain scales cause in Western societies. I’ve never heard of anyone complain about it here (or maybe I don’t talk to enough people). But it’s almost like an unspoken understanding that the pain scale is meant to be interpreted on an individual basis, and the number we give is according to our own pain tolerance levels. I was chatting with a girl who lives with Crohn’s in the ward bed next door the other day, and she was telling me a story of how the nurse told her that she had to go to the hospital if her pain levels were at a ‘2’, because her tolerance had become that high! I personally have not seen anyone’s pain disbelieved in the wards at least. While Singapore is extremely strict with drugs (I’m sure you’ve heard of our infamous death penalty for drug trafficking), I guess the good side to it is that we get the pain relief we need during acute crises. Which are the most and least affordable alternative therapies there? How much do they cost in general? Body and foot massages are cheaper compared to Western countries, at least from the price lists I’ve glimpsed while overseas! Sometimes people even take a short plane ride for the weekend to places such as Thailand or Bali, where it’s even cheaper and more relaxing. I would imagine visiting a TCM doctor here would be cheaper as well. Flotation therapy is pricier compared to the U.S. I think. Cryotherapy is way too expensive for me to even try on a regular basis. My medical bills cost $1,000 – $2,000 per month, most of which are for medications. Drugs belong to different categories, and the government subsidises them at different rates if you’re under public healthcare. We have a scheme where chronic illness patients get slightly more coverage, but the ironic thing is that disorders such as Lupus don’t fall under that list…don’t ask me why. I’ve asked various sources, but nobody has a good answer. Isn’t Lupus as chronic as it gets?! Service is pretty inconsistent, I think. It depends on which ward I end up in, under which nurses, etc. The quality of care in general is pretty good although once again, there are good and bad doctors and healthcare staff in every institution. Emergency room protocols can definitely be improved. I understand that it’s always going to be hectic, but I do think certain changes will help. I think the pre-admission triage needs better guidelines and assignments. While they have a queue system going on, they never seem to be fully maximised. I was once bleeding profusely internally but was left in a corner for hours, and even had a doctor professionally roll her eyes at me when I mistook her for a nurse. Those who are bleeding visibly get attended to immediately, but internal bleeding is probably more deadly. I’ve spent years seeing and un-seeing many doctors, surgeons and healthcare professionals. I’m more or less happy with the team I’ve assembled for myself now, even though I had to go under private healthcare for some of my doctors, such as my heart rhythm specialist, as I couldn’t find anyone suitable for me in the public hospitals. Thank you for reading, I hope that this was informative! Click here to share your own perspective, and read about other places. *Note: This Q&A is meant for educational purposes, and is based on my personal experiences only. Nothing is to be substituted for medical advice. Please consult your own doctor before changing or adding new treatment protocols. I’m late, but better late than never. I learned a lot from this article as well as from our own meet-up while you were in Taipei. I think the thing I found most surprising about Singapore is the cost of everything there. 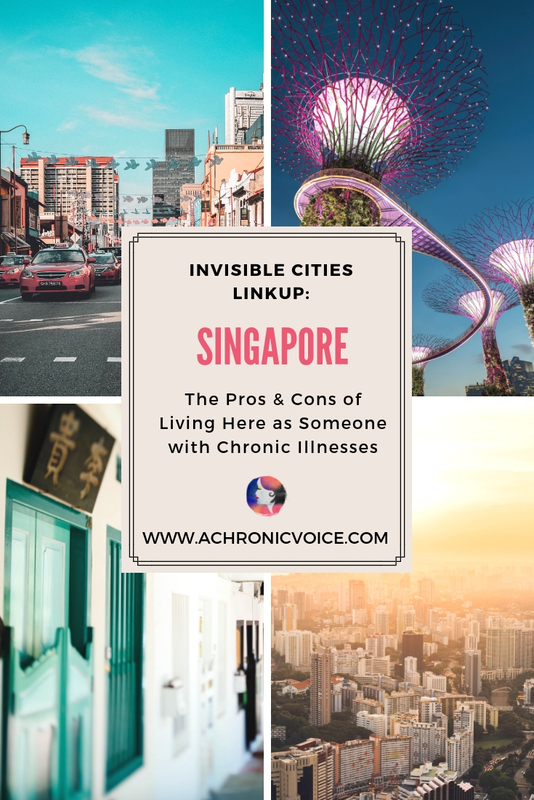 I was really shocked when you told me how much it costs for people to live in Singapore with a chronic illness until I found out what medications cost in Taiwan without insurance. 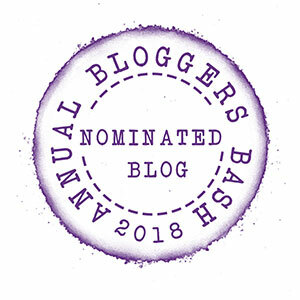 What a great idea for a blog link-up. I’ve really enjoyed participating in your link-up parties. I wish I had time to do more of them. Hi Carrie, you are not late, at all! This linkup is meant to be relaxed, fun and educational 🙂 So far I’ve really enjoyed and learned a lot from everyone! Hi Emma, thank you! Yes I find it very interesting too. 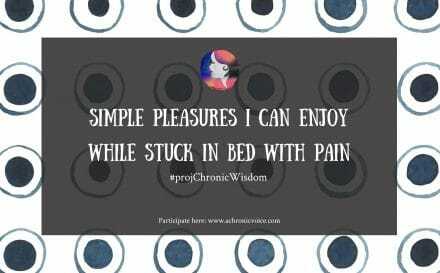 And answers many questions I’ve always had about what it’s like elsewhere with chronic illness! This was such an interesting post. It sounds like you’ve become a good voice for others, helping them to open up about their illness and pain. It’s interesting what you say about the pain scale, because it drives me crazy. I never know what to answer doctors. When my pain is high but I am feeling like I am managing it, I rate the pain low, but then docs don’t realize how badly I’m feeling. It confuses me what I should tell docs sometimes. Thanks for sharing this info! Hi Deborah, thanks for the feedback! I’m actually a little overwhelmed with keeping up with all the blogging stuff…it’s endless, but in a good way! 🙂 Yes, the pain scale is interesting, as I see extreme opinions and comments about it (amongst others) online, and it makes me wonder about a lot of things. That’s why I started this series, it’s just so fascinating to see how different healthcare is all over our world 🙂 As for me personally, I tend to separate ‘pain tolerance’ and ‘pain levels’, and just tell them the ‘actual’ level, if that makes sense! Because I think it helps them understand it better, too. I might say something like, “the pain is at an 8, but I can still manage it.” But at least they’re aware! It’s really interesting to see how illness is treated around the globe, both in terms of perception as well as healthcare. I’m curious, are the alternative therapies (any/some/all)covered by insurance in Singapore? I’m just wondering since, as you mention, you have a large Chinese culture and Chinese medicine is common, if that is covered there? Most alternative therapies aren’t covered here in the U.S.
Sheryl, this was so interesting! My cousin lives in Singapore, she is a physiotherapist. She said that she has had to really get her head around the difference between the healthcare there and here (UK), but she loves it! The acceptance of alternative remedies sounds great. This was so interesting! 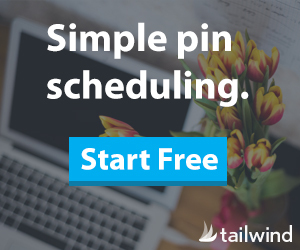 It’s a great idea for a theme for linked blogposts. I’m hunting down the others now.